This research introduces the concept of the Customer Compromise and proposes a new metric, the ComproScore, to assess customer satisfaction, buying process, and loyalty (Oliver 1980, 1999). We make and test a new theoretical proposition which states that the Customer Compromise mediates the relationships between perceived quality, perceived value, customer expectations, and share of wallet along with customer loyalty. We conceptualize and define the Customer Compromise as an individual’s evaluation of a product while also evaluating the perceived alternatives, along with his/her own expectations and constraints. Specifically, we argue that customers do not solely experience satisfaction toward a product, rather they experience satisfaction toward a compromise; yet the product is part of the compromise. Accordingly, we suggest that a customer buying process is affected by the Customer Compromise and that loyalty derives from such a compromise rather than from satisfaction toward the product. We measure the Customer Compromise by developing a four-factor scale—the ComproScore—we pretested on a sample of 187 business customers. Subsequently, we assess the Customer Compromise nomological validity with a second study conducted through a multisource, two-time period data collection process from 589 business customers. Results reveal good psychometric properties of the ComproScore, as well as its complementary explanatory power in regard to the overall customer satisfaction concept of the American Customer Satisfaction Index (Fornell et al. 1996) and the Net Promoter Score (Reichheld 2003; Keiningham et al. 2007). 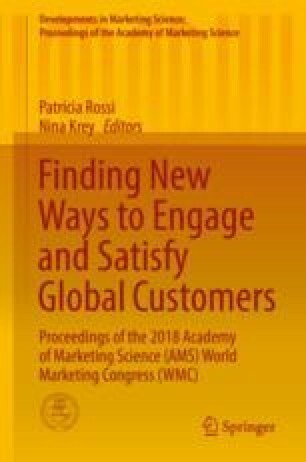 Theoretical and managerial implications are derived from such interesting new findings which bring a new perspective on customer satisfaction, buying process, and loyalty measurement and management.